All staff possess a current enhanced Criminal Records Bureau disclosure. Rhythmicality has £10 million Public Liability. 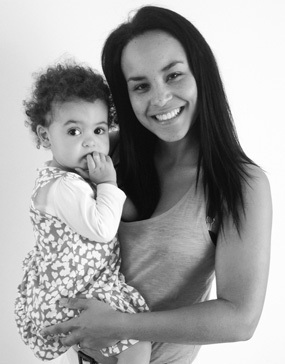 Joanna Robinson graduated Edge Hill university in 2008 with a Social Work Studies degree (Children and Young People). For the past 10 years she has worked with children and young people, volunteering in local primary and secondary Schools and as a Youth Worker and has worked within local authority since, specialising in Child Development and Children with Disabilities. Throughout this time she delivered many positive parenting groups which offered advice and support to families with young children. She continues to work with Action for Children and the Care Leavers Association on campaigns for looked after children and in 2011 spoke in Parliament for the 'On our own two feet' campaign and two weeks later the chancellor announced that the Government would create a new system of savings accounts for children in care to help them plan for the future. Music and Children have always been a huge part of her life. She is from a family of musicians, her father now sings with the American Drifters after a long career singing alongside Edwin Starr, The Three Degrees, The Realistics and many more Motown Legends. As a child she gained distinctions at Grade 8 in voice (ABRSM). She went on to study GCSE Music and Drama and A Level Performing Arts. She has continued her music and theatre journey in her home town Chorley, taking on parts as 'Maria' in West Side Story and singing at the Bridgewater Hall Manchester 'Gospels & Galaxies'. In 2010 Joanna had first child and decided that she wanted a career which it fuses together her two passions 'music and children' and also the concepts she has studied for the past 10 years. Since starting this journey she has given birth again in 2014 and is currently recording an album to accompany her classes. Her experiences working with children and as a mother have shown that bonding is key to child development and she feels that the Rhythmicality Program reflects this. In 2016 she started doing 1:1 Rhythmicality sessions for children with additional educational needs to prepare them in starting school. From this a new class was created which has been specifically designed for 3-4 year olds starting in the next school year. "Rhythmics" is a new program which focus' on Phonics and repetition along with stories, music, dance, crafts and play. The class is designed to be delivered in small groups of 8 to prepare them for starting school with the support of their adult care giver.